How to enjoy better online security, faster PC performance, and lower technology prices in the year ahead. Losing weight and quitting smoking are resolutions most of us don't keep through January. But there are ways to improve your online security, PC hardware performance and even financial bottom line that require little vigilance and just a few mouse clicks. You don't even need to break a sweat. Yes, you can do better in 2013. Give us just a few hours, and PCWorld can be a veritable Jillian Michaels of personal trainers for your digital life. What follows is a compendium of digital to-dos ranging from Windows security tips, hardware tune-up exercises, and money-saving best practices. 2012 was the year in which Windows 8 launched, but most of us will be using the OS for the first time in 2013. If you're installing Windows 8 on an old PC, you're going to want to prep that system first for a successful upgrade. For those new to Windows 8, here is what you need to know to get started using the OS, along with tips and tricks such as adding a Start button. 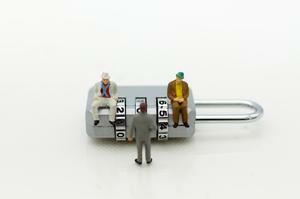 Security will matter even more in 2013, as malware threats will only continue to rise into next year. Of course, PC security should always be top of mind, but who couldn't use a refresher on how to protect one's digital bacon? You'll need helpful advice on avoiding poor passwords, tips on mobile protection for tablets and smartphones, and a tutorial on encrypting data stored in the cloud. Gadget collecting is an expensive habit, so saving here and there can add up. One big drain on your wallet comes from good, old-fashioned printing. There are plenty of ways to print what you need without having to take out a second mortgage. For starters, a host of printers sip ink, saving you money, instead of guzzling expensive ink and sending you to the poor house. You can also shave dollars off your electric bill by de-fanging gadgets such as game consoles, PCs, and plasma TVs--all relative vampires when it comes to sucking down power. We know we sound like a digital mom each year, nagging you to backup your PCs. The good news in 2013, for all you procrastinators, is there are a number of new cloud backup options that make it easy and free (albeit sometimes with a catch) to protect your data from fire, flood, theft, and other localized disasters. But why stop with data backup when it comes to computer best practices? Tuning up your laptop and de-gunking it of both digital and physical crud will make it run faster. For your PC, there are over 50 tools to download from PCWorld for putting some zip into a lagging system. And if you've resolved to use Windows 7 for a another year or so, you'll want to make sure your system is still optimized for the OS and you are up to speed with all the latest performance tips. You can't go wrong with these links to PC tips, tricks, and cleanup advice. If you're having trouble kick-starting your resolution to hit the gym more, these digital New Year's resolutions are just the right excuse to feel less guilty about sitting around the house one more day. Don't feel bad either, resolving better PC practices is always a plus. Just don't let us catch you go another year without backing up your hard drive or not updating your software to fend off the latest security threats.